ZooAmerica is proud to announce our newest additions: baby black-tailed prairie dogs, baby burrowing owls, and baby roadrunners! Visit their baby prairie dogs with their entertaining antics in Big Sky Country. 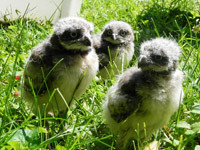 Three burrowing owlets are currently in our care in the Animal Health Center. And our new baby roadrunners, once mature, will be sent to other zoos to be part of a nationwide program to enhance sustainability of the species. Special Beauty And The Beast Offer! 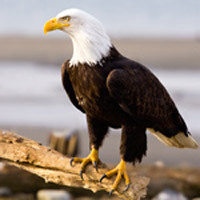 Bald eagles are a strictly North American species. After successfully recovering from an endangered status, bald eagles can be found in increasing numbers throughout the contiguous United States. They continue to be common in Alaska and Canada. Learn more about our national bird and animal of the month, the majestic bald eagle.